FINALLY got all my prints and ribbons and stuff in order and packed for Gallifrey One. 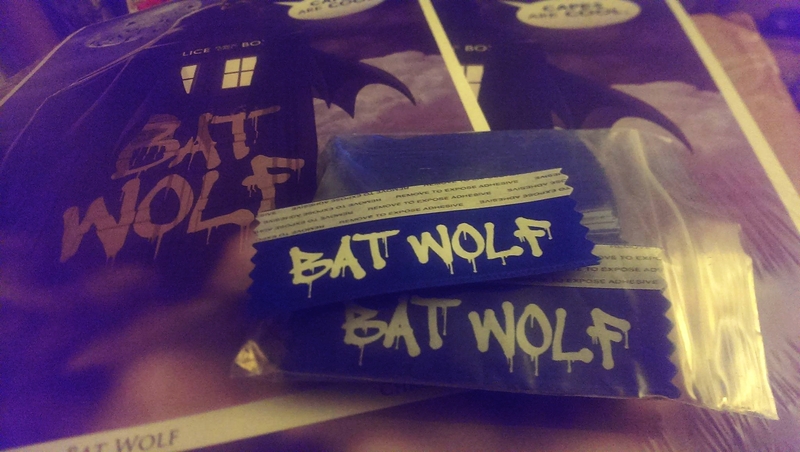 Including my NEW PRINT, “Bat Wolf”. (Why? 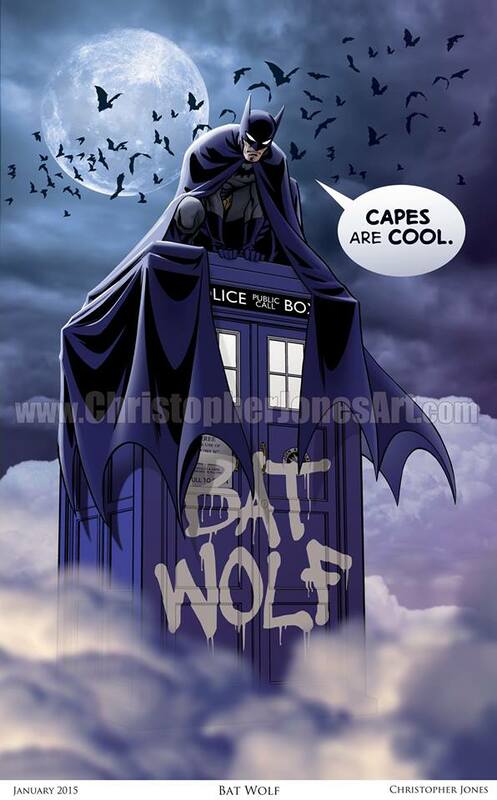 Because Batman and Doctor Who are awesome and because I can.) I first started going to Gallifrey just attending as a fan, and while I’m now a guest and will be “working” the convention from my table in the Dealers Room, for me its still one of the most enjoyable conventions I do all year. Time to seriously get my “Doctor Who Geek” on! 11×17” color prints are my usual convention prices, $20 each or 3 for $50 – quite a discount from etsy! I’ll have some non-Doctor Who art as well, if anybody was interested in original sketches or superhero/Young Justice prints. The panel is open only to Gallifrey One members. 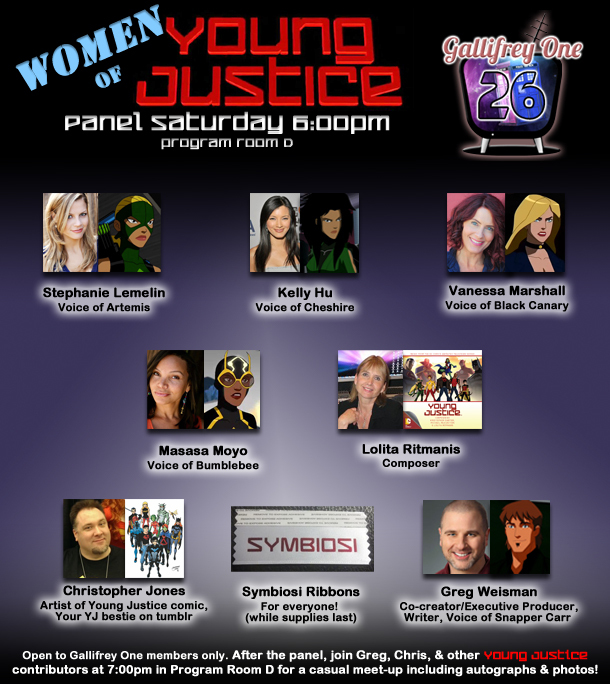 Greg and I and anybody else who wants to will stick around for about an hour in the same room for a Young Justice meet-up, if anybody wants to grab an autograph or photo or just hang out and talk YJ for a bit. I’m always happy talking to fans at every convention I attend, but ESPECIALLY at Gallifrey One I’m there as a fan too, so please come up and say hello if you see me around the con!